Having sailed H.M.S. Prog as far out from the shore as it could go, the only options were to either turn amidships and repeat himself forever and a day… hmmm, sounds familiar… or abandon the fast sinking lumbering hulk and ride a sprightly dolphin to the next shore. 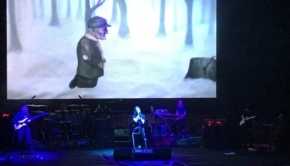 As you will know if you have followed the career of Steven Wilson for more than the last five years or so, he is always evolving, always changing, so it is really no surprise that the dolphin left him on the farthest flung beach of a vast continent labelled POP, a place he’d last visited at the dead of Gothic night for the Insurgentes album. This time it is daylight, and the subject matter is truth, how we twist it, perceive it, and turn it into anything we damn well please in this wonderful post-fact world. 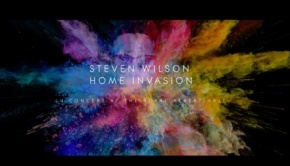 If the fans have been paying attention, and judging from some comments it would appear that many have not, Mr Wilson’s love of certain strains of pop is well known, and their influence can be heard at various points throughout his career. If you check out this short list of five albums he says have been highly influential on him, you’ll see what I mean. OK, this is pop, as a rather good band from Swindon once said, and indeed, a certain Mr Partridge has writing credits on the title track. Paul Draper, currently enjoying a solo resurgence many years after his stint with indie pop-proggers Mansun, plays on the title track, the dulcet tones of Ninet Tayeb are present and more than correct on a lot of this record, and guesting on guitar somewhere or maybe everywhere is boundary-pushing Slovakian plank spanker David Kollar of KoMaRa fame. Sorry if that sounded vague, but the bereft PR blurb us mere amateurs have been graced with contains less factual info than you will find in your average speech by the current occupant of the White House. 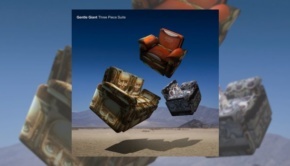 Perhaps the most obvious radio friendly song on the record is the charmingly poptastic Permanating, one of four songs previewed on YouTube prior to release, and three and half minutes of the frothiest choon I can ever recall our man in the no doubt expensive retro-NHS specs writing. You would have to be a deathly cynical beast not to at least smile to yourself as Permanating bounces by, but judging by the wailing and gnashing of teeth from predictable quarters, there does indeed seem to be plenty of joyless souls around. Everyone needs to give their furrowed brow a rest now and then or the creases become permanent. 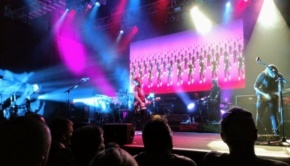 However, some do get it… “just a…song with good vibrations” said one enlightened soul, which is exactly right. To be fair, Permanating is a throwaway tune that were it by anyone else the likes of you and me probably wouldn’t even notice it. Steven is obviously proud of it as he says “In my mind this is what ABBA and Electric Light Orchestra would sound like as produced by Daft Punk!”, a somewhat over-effusive description if you ask me, but then again it is his baby. Permanating is also rather the exception than the rule, and it sits in the middle of the album like a bridge and as such works just fine. 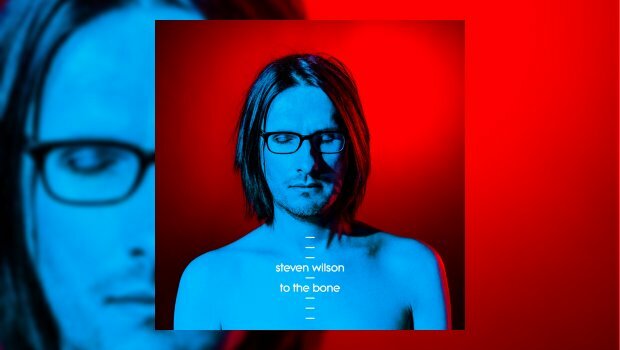 Overall, To The Bone has an intelligent take on pop that Bowie, Prince, Peter Gabriel, Kate Bush, Abba, XTC, etc., would recognise, and if the musically myopic would give it a chance, there is actually quite enough here to satisfy those who demand more than the basics, and for those who blanche at the very idea of dancing. Hey! One song is over nine minutes long, doncha know, and despite all the gossip, it ain’t THAT different to what has gone before. We have now chewed right through to the bone of contention, so on with the job in hand. The album is bookended by two songs that could easily be Porcupine Tree numbers from just before they discovered riffing. Elsewhere the entry of massed Mellotrons on the back of Ninet Tayeb’s emoting three and a half minutes into Pariah is guaranteed to make the hairs on the back of your neck get all priapic. As for guitar solos, Refuge goes all Prince on us, and even the proglodyte dwelling in the deepest cave would have to admit that David Kollar’s delightfully scripted flurry in Detonation, the nine-minute wonder I referred to above, is something to write home about. Simply by using David Kollar on the album, Wilson shows that he is still searching out those at the cutting edge to give added heft to his stylistically very readily identifiable songwriting style. All in all, To The Bone is a decent album with all the expected outstanding production values. It won’t tip the world off its axis, but it will no doubt keep the fans debating whether or not it is “Prog” enough for weeks. As we know, “fan” is an abbreviation of fanatic, so you can leave me well out of that one. Now signed to Caroline International, a branch of Caroline Music which is ultimately owned by the ubiquitous Universal Music Group, it is either a coincidence or Wilson’s apparently shrewd business acumen that his new and potentially more commercial direction will have the backing of one of, if not the biggest musical conglomerate on the planet. I will leave you to make your own mind up on that one. Whatever, the man has worked hard for his success and the music he’s added to my creaking shelves by the barrow load over the last couple of decades and more means that as far as I’m concerned he deserves it, even if once more I appear to be losing interest in his journey. However, knowing me I’ll probably still buy the album. It’s a hard habit to break!